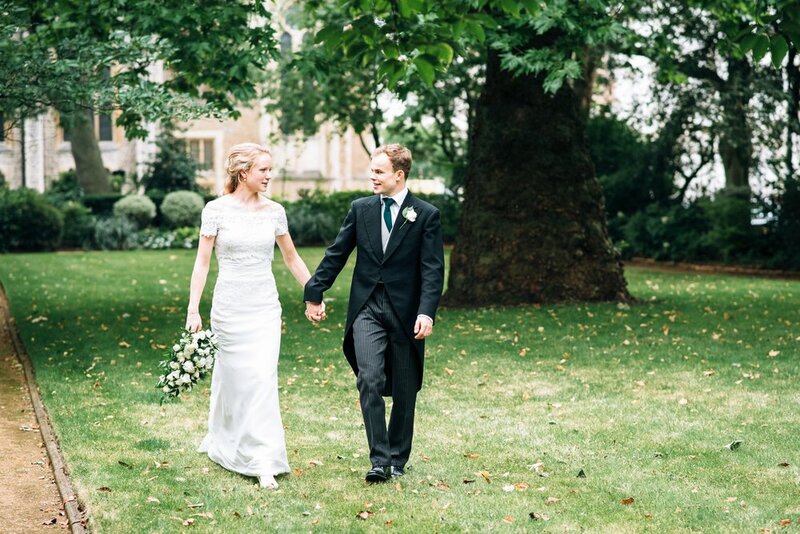 This was a stunning London wedding, with the loveliest couple! 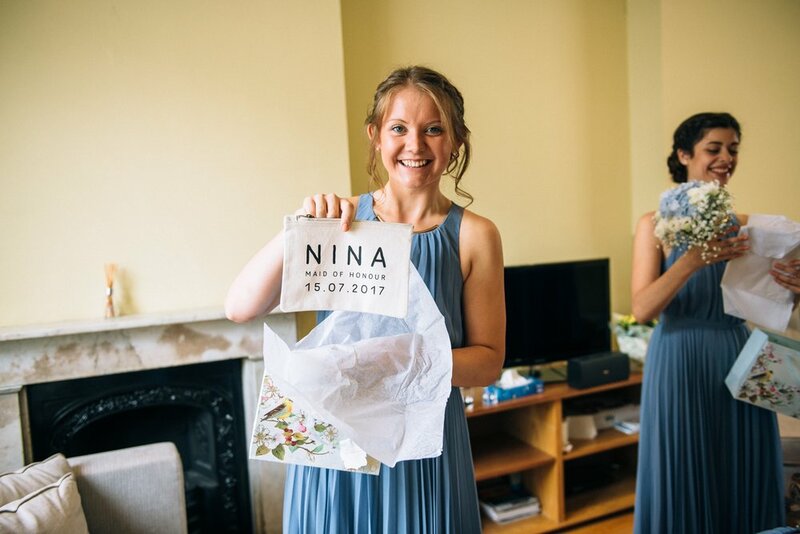 The girls got ready at a beautiful Airbnb house in Chelsea - Sophie had six bridesmaids so there was lots of chatting and giggling all morning! They were all so relaxed and lovely to chat to as they had their hair and make up done. 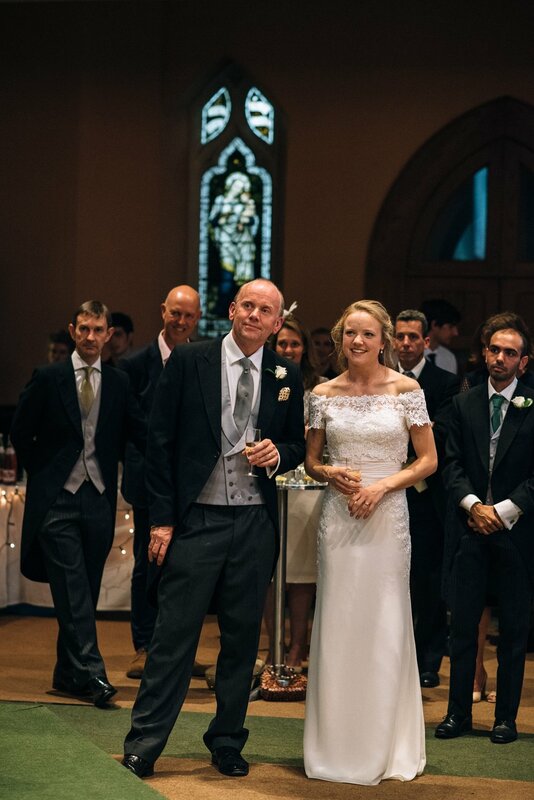 When Sophie's Dad saw her in her wedding dress for the first time it was a wonderful moment, he looked so proud! 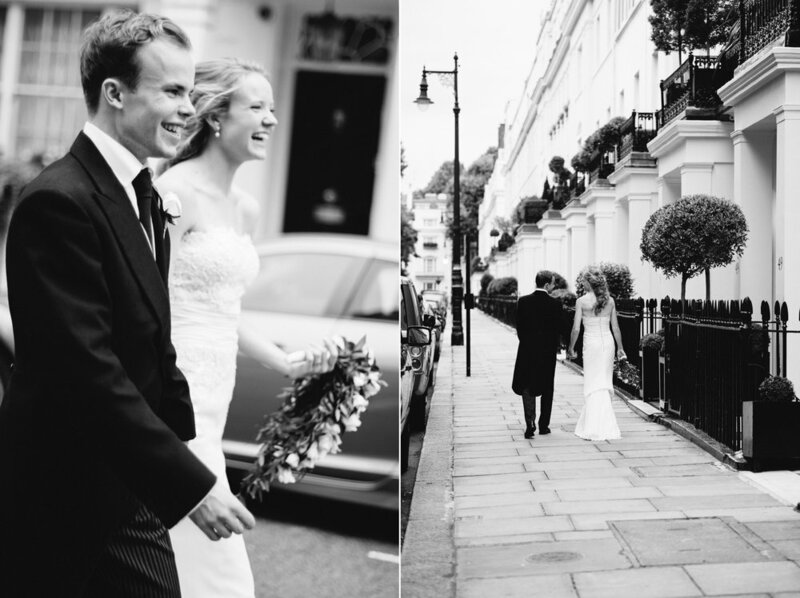 Heading off in taxis we all made our way to St Michael's Church in Chester Square, where it was full of guests (and beautiful flowers!) 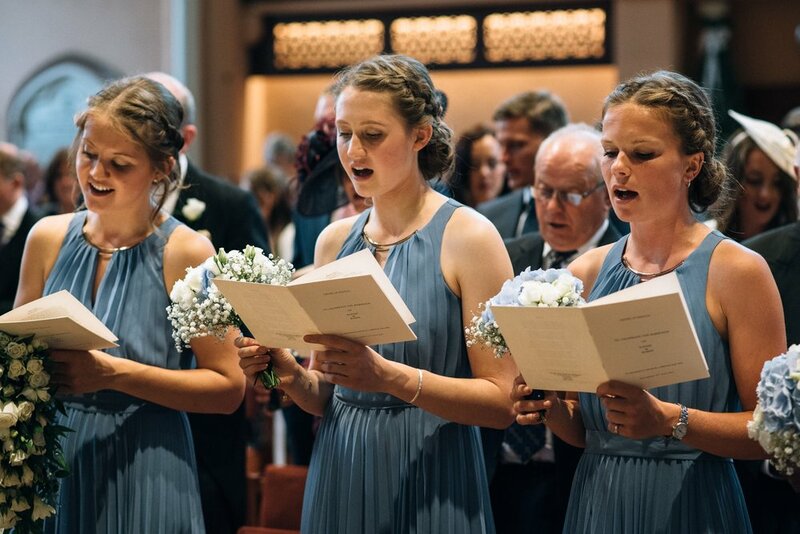 The service was brilliant, especially the music - I managed to multitask singing and photographing! 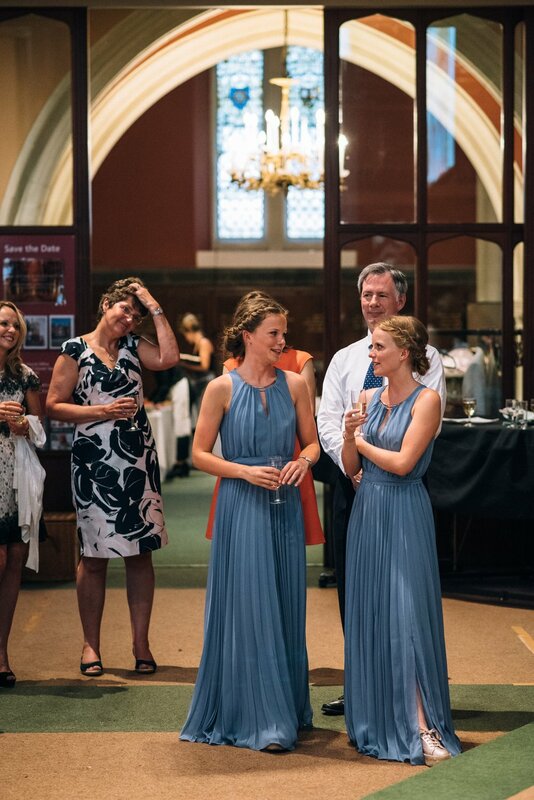 As you can see below, Robin and Sophie kept looking at each other and smiling, it was so lovely to see how thrilled they were to be married. 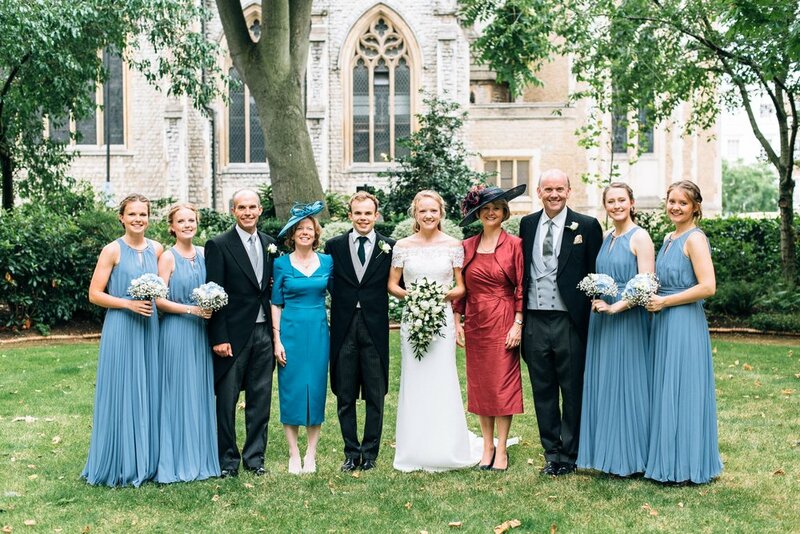 Afterwards, I photographed their formal group photos in the private garden in Chester Square, with the church behind them. 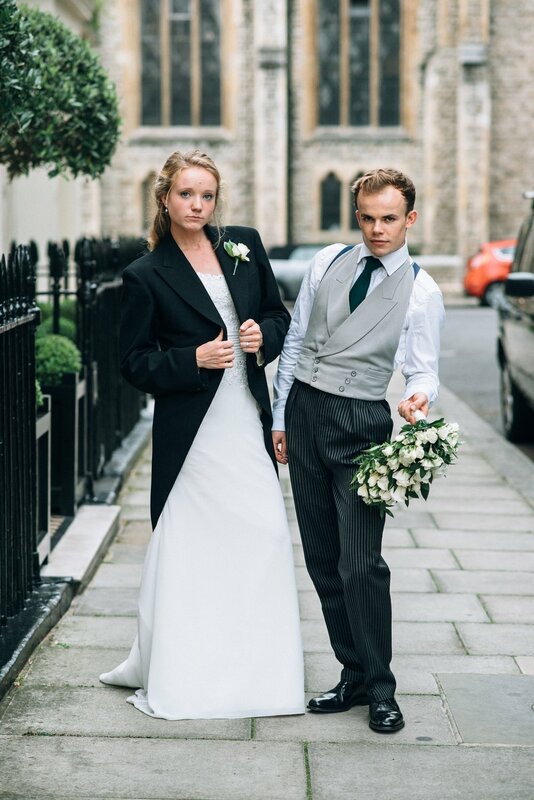 I then went off with the newly-weds for their photos in the rest of the garden. 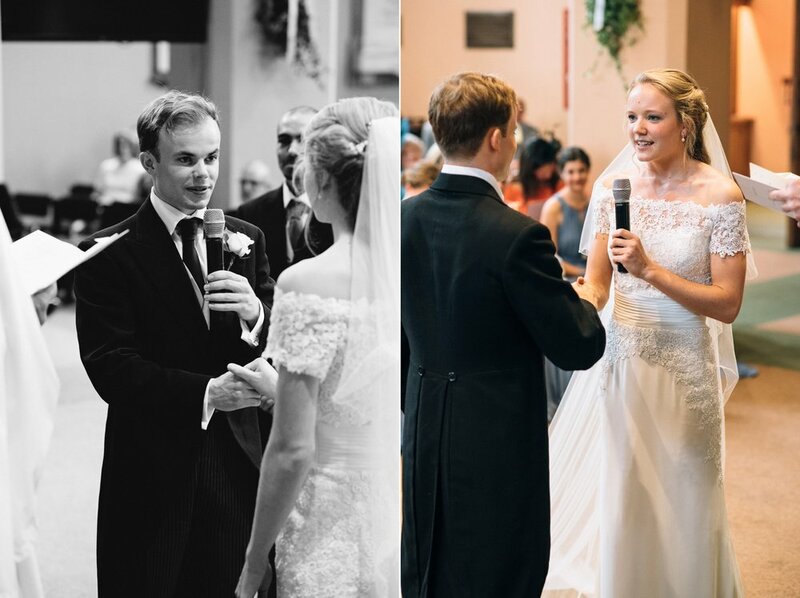 Their reception was also in the church, which had been transformed into a great venue with a black and white dance floor, tables and chairs, and a bar. 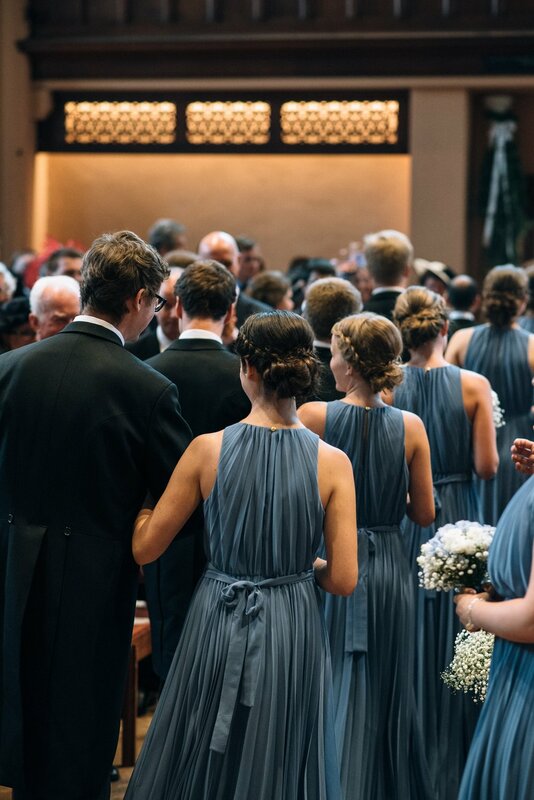 The rest of the guests soon came back and made their way through the receiving line into the church. It was lovely for all the guests to have a change to congratulate and greet Robin and Sophie before they were served a delicious dinner in bowls - I had lamb with goats cheese, lentils and pomegranate, it was amazing! Their speeches were fantastic; very funny and touching. This was soon followed by the dancing - oh the guests really loved the dancefloor, it was brilliant to photograph everyone enjoying themselves! And when Robin and Sophie headed off to their honeymoon, there was a great send-off with over a hundred people cheering - I think some of the locals were wondering what was going on!